This is a strong, courageous and hardworking breed. The Belgian Malinois, or simply Malinois, counts itself among 4 breeds sub-classified as Belgian shepherds. This classification also includes the Tervurens, Groenendaels and Laekenois, each named for the area in which they were first bred. The ears are triangular. Malis have almond-shaped, medium-sized eyes that are brown to dark brown. The tail has a strong base — when the dog is alert, it’s raised with a slight curve that doesn’t hook. The Belgian Malinois has a short coat with a dense, weather-resistant undercoat. The coat is short around the head, ears and lower legs but a bit longer around the neck to form a slight collarette. The coat’s color ranges from rich fawn to red to mahogany to black, with black tips on the hairs. The ears and mask are black. The Malinois is often mistaken for a German Shepherd Dog. They have similar coloring and body styles. The breed’s history is closely entwined with that of its Belgian shepherd brothers. All 4 types were bred during the late 19th century in Belgium and were often cross-bred. 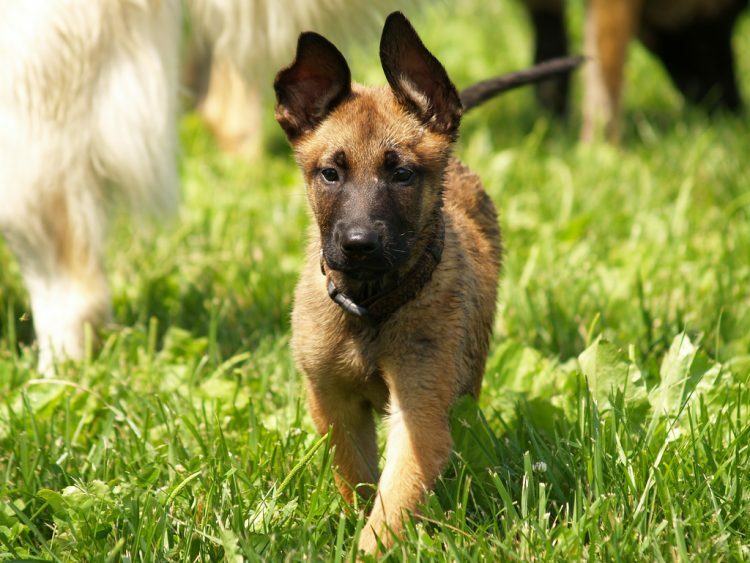 The Malinois was first bred in Malines — hence the name. The first official standard for the Belgian shepherds, not yet classified as 4 breeds, was developed in 1892. Several breeding clubs sprang into existence revolving around these dogs. For example, in 1912, the Fédération Cynologique International (World Canine Organization) was established. The Malinois was briefly mentioned in the United States by the AKC in January 1908, describing how 5 Belgian shepherds had been added to the police force in New York City. From 1911 until World War II, the Belgian Malinois was popular among Americans. However, after the war, interest waned, and although it was recognized officially by the AKC in 1959, the breed was relegated to the club’s Miscellaneous Class. Interest in the dogs slowly grew again. By 1963, there were enough competitors to move the Malinois to the Working Group to compete. In 1983, the Malinois was moved to the Herding Group, where it remains today. Malis are intelligent, determined and hardworking. Socialize your Malinois from puppyhood. Otherwise, they may become shy or sensitive. This breed needs firm leadership and plenty of physical and mental exercise to prevent destructive behaviors. 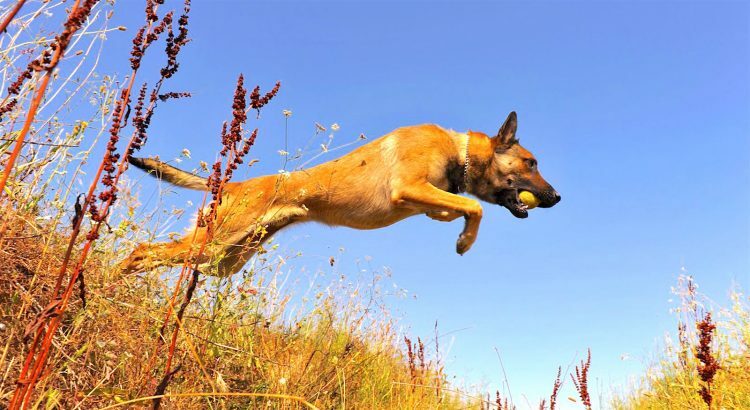 As a herding breed, the Malinois may display instinctive behaviors, such as nipping at heels or circling people. These dogs may try to dominate other pets or smaller animals in the household. While an impressive breed of dog, the Belgian Malinois requires a commitment in time and training from the family and should not be added to the household without careful consideration. HIGH: Malis were bred for work and require a great deal of exercise. If possible and safe, off-leash time can help your dog expend some energy. If a Malinois is left alone too long or not exercised properly, boredom may cause more destructive behaviors to emerge. LOW: The Belgian Malinois has a short coat but a dense undercoat, and should therefore be brushed regularly. This breed sheds lightly during most of the year but usually has 2 heavier shedding seasons. Bathe as necessary to keep the waterproofing of the coat intact. 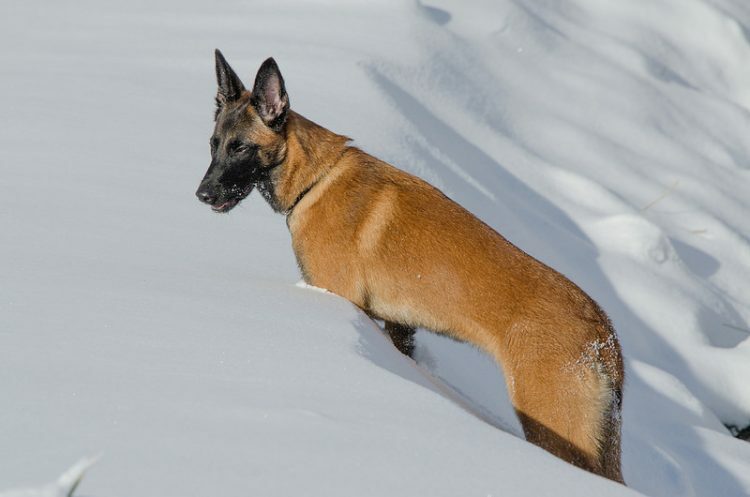 Many Belgian Malinois are awaiting good homes in shelters across the United States. Start your search now over at our online Pet Adoption Center. You may opt to go through a breeder, but please watch out for puppy mills. Good breeders will have health information on their animals readily available. The ABMC also runs a Belgian Malinois rescue.